This summer my intern McKay and I made the rounds of some killer coffee shops, both old and new. When it comes to an ideal hang out or work spot, it’s not just about the espresso. I love finding a place that also offers great ambiance/decor, and these 4 spots check off all my musts. Read on to see what McKay has to say about each place (you know those 20-somethings are super in-the-know about what's awesome), as well as each of our picks. 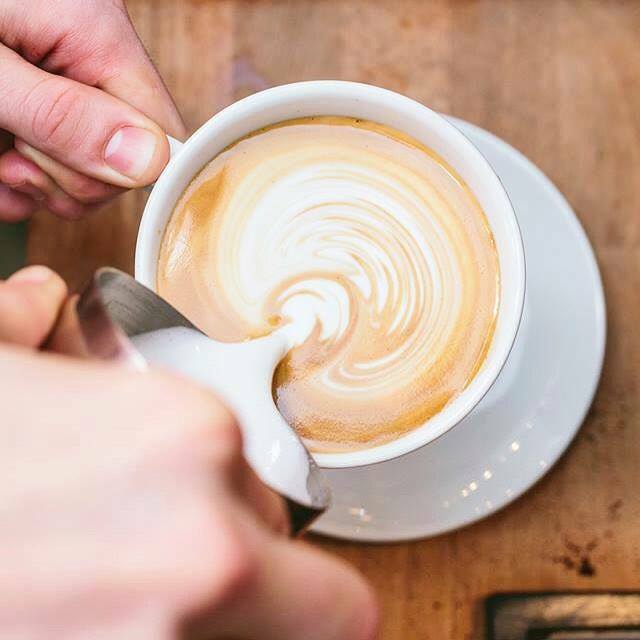 Bad Wolf Coffee offers all of your favorite classic coffee and espresso drinks. With high top seating and floor-to-ceiling windows, Bad Wolf is the perfect open space to come meet a friend for morning coffee or get some work done. Open til 9pm, Bad Wolf also sells beer, wine, and cocktails that customers can enjoy inside or out in the adjacent courtyard. Our picks: Liz and I both LOVED the Cold Brew, but their latte art is for sure on point as well. If you haven’t ventured to North Charleston lately, you definitely need to make a stop at Mixson Market. Besides offering great coffee drinks, Mixson sells breakfast and lunch, a variety of gourmet grocery items, and adorable little gifts. With a cozy neighborhood vibe, Mixson is definitely a hip hidden gem. Our picks: Liz always orders an iced americano with a scoop of chai powder and the breakfast tacos, and my favorite is definitely the iced latte. Any trip into Collective Coffee will give you a quick glance at the hustle and bustle of Charleston. Always packed with customers, Collective has become a local favorite because of their amazing coffee and espresso, but also their great breakfast and lunch offerings. The rustic, homey decor of CC makes it a great place to grab a bite to eat or catch up on some work. Our picks: Liz and I are both big fans of their Dirty Chai Latte, and I live for their avocado toast. As soon as you walk into the Harbinger, you’ll feel like you’ve stepped right into a French cafe. 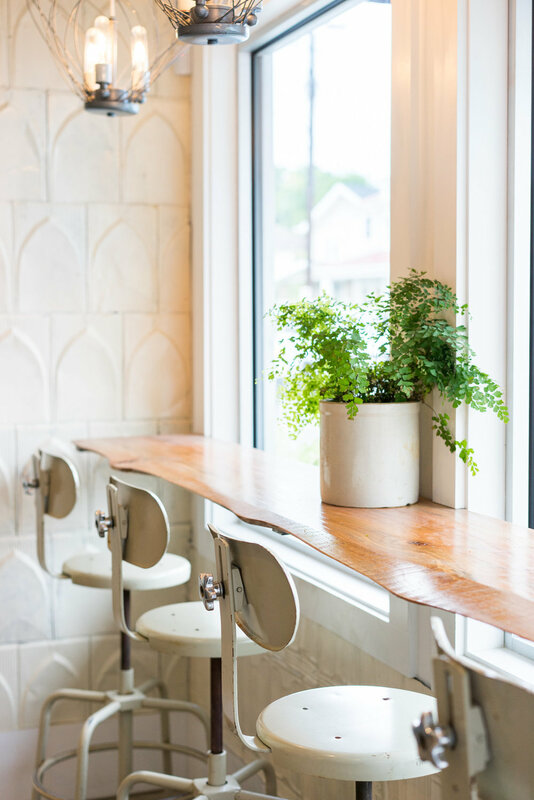 With a charming aesthetic, the Harbinger offers a cute and inviting space to enjoy all of their foods and beverages. I was amazed by all of their pastries, especially the variety of cookies on display; they sell nine different flavors at all times. 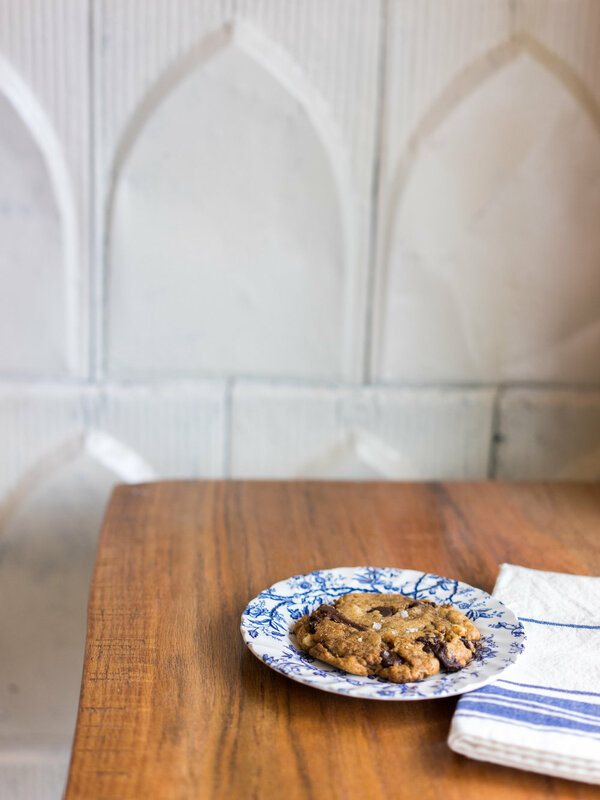 Our picks: I loved the Best Friend (their classic chocolate chip cookie) and Liz recommends the chia pudding with a honey almond milk latte. Happy coffee drinking, folks! Check out more fun Charleston ideas in my Charleston Guide and on my Instagram.